The “right” kind and amount of exercise is as unique as your pet is. Here’s everything you need to know to keep your pets happy and healthy. Sometimes it’s hard to believe your furry companion is a descendant of wild animals. Unlike their ancestors, many dogs and cats are content to curl up by your feet in the kitchen or on the couch; even higher-energy pets love quality time at home with their humans. But exercise is just as important for them as it is for us and can also be tremendously rewarding and fun for both of you, with a slew of benefits. Stay tuned—we’ll be posting tips next week for tailoring a routine that’s perfect for your pet. Ease into it. A steady, manageable routine is healthier, safer, and more sustainable than sporadic sprints. Listen to your pet. If your dog is panting heavily or wants to lie down, let her rest; if your cat loses interest in a fun game, give him a break. Every pet has different limits, and they’ll let you know when they’re done. Shake it up. Just as you don’t want to do the same thing day in and day out, your pet appreciates variety. Try new paths for your walks (or let your dog direct the walk!) and introduce new toys or games to keep things exciting. 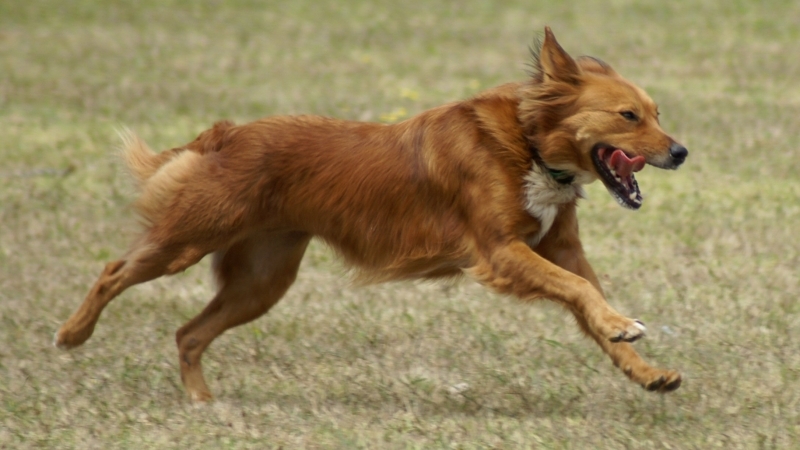 For higher-energy dogs, find an agility class in your area. Bring water! Hydration can make the difference between a great pet workout and a terrible one. You can find collapsible bowls (like this) that fit neatly in a jacket pocket or bag, then fill them from your own water bottle. Talk to your vet to make sure your furry friend’s fitness plan is right for your pet. Physical and mental activity tones muscles, regulates metabolism and weight, boosts strength, enhances agility, and can even make your pet smarter and more alert. Many destructive behaviors—like scratching or chewing, digging, excessive barking, jumping, and rambunctiousness—spring from having too much energy. Exercise is a healthy outlet that keeps pets calmer at home. There are psychological perks, too: exercise helps socialize your pet so that they can build trust and confidence. A well-exercised pet sleeps better at night and experiences a boost in happiness. Check back next week for our tips on customizing an exercise routine for your pet’s unique needs!